Nicalis has announced that the apocalyptic action platformer The End Is Nigh will launch on Nintendo Switch December 12th day-and-date both digitally and in a special retail edition. The retail edition will follow in other Nicalis games on Switch such as Cave Story+ and include free goodies, in this case an instruction book and a silicon Ash toy. Both the retail and digital versions of The End Is Nigh will launch for $29.99 USD. 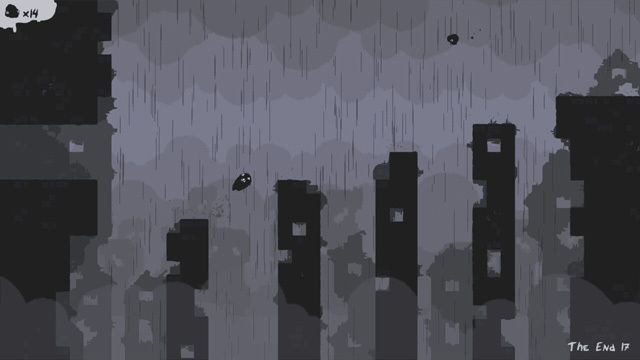 The End Is Nigh comes to us from developer Edmund McMillen of Binding of Isaac and Super Meat Boy fame. It tells of the survival of Ash, lost in a post-apocalyptic world of monsters and hazards. There are plenty of collectibles and some mini-games along the way, and no lives to keep players down during the game’s brutal challenges. Underscoring the game is retro-remixed classical music composed by Ridiculon. While the game launches in both North America and Europe, only America gets the physical special edition.